The Me Too movement has toppled Hollywood executives, pundits, and bureaucrats since it burst onto the scene last year. Prompting a government agency to rename a geologic landform, however, may be a first. 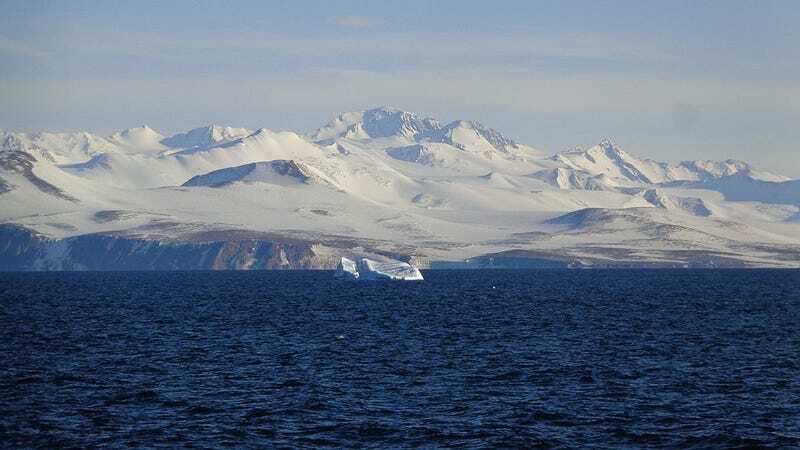 Last week, the United States’ Board on Geographic Names quietly decided that Antarctica’s Marchant Glacier would now be called Matataua. A 7 mile-long ice stream located in eastern Antarctica’s Victoria Land, the glacier was originally named after Boston University geologist David Marchant in 1994. The change comes nearly a year after a BU-led investigation concluded that Marchant sexually harassed former graduate student Jane Willenbring in 1999 and 2000 while the two were doing fieldwork in Antarctica. Willenbring, now a tenured professor at the Scripps Institution of Oceanography, filed a complaint with BU against Marchant in 2016, alleging her former advisor subjected her to both verbal and physical harassment, including calling her a whore and throwing rocks at her while she urinated. While the university concluded “by a preponderance of evidence” that Marchant did indeed verbally harass and demean Willenbring, it failed to affirm her allegations of physical assault. Willenbring’s experiences, along with those of two other women who described similar verbal abuse in the field, were laid out in a disturbing Science Magazine investigation last year. Marchant, who has denied any and all wrongdoing, was put on paid administrative leave by the university in February. But while a BU spokesperson told Earther the university is still considering Marchant’s appeal of a recommendation to terminate his appointment, the Board on Geographic Names seems to have made up its mind that Marchant is no longer deserving of a geographic namesake. Louis Yost, Executive Secretary with the Board, told Earther it received a proposal to change the glacier’s name on April 21. One of the proposed alternatives was Matataua, after the nearby Matataua Peak. Yost said the Advisory Committee on Antarctic Names discussed the proposal and eventually made a recommendation in favor of the name change. The Board on Geographic Names made it official on September 10. The glacier’s official description says that the name change brings it “into alignment with ACAN policies.” When asked to elaborate, Yost explained that the Antarctic naming committee tightened its policies on commemorative names a few years back so that they would be bestowed toward the end of a person’s career. “I think the wording reflects the fact that under the old policy, the name was bestowed too early in the career, and we didn’t know what was to come later or to be found out,” Yost said. He added that the Antarctic advisory committee was aware of the allegations against Marchant when it issued its recommendation. The Board on Geographic Names, an interagency group tasked with designating official U.S. names for geographic features on federal maps and documents, has chosen to change certain names in the past, for instance because of changes in local use or climate change. Yost, however, wasn’t aware of a name change that had occurred under circumstances similar to Marchant glacier. Willenbring, who had no direct involvement in or knowledge of the proposal to change the glacier’s name, told Earther it was “kind of a surprise” to learn about last week. But she saw the move as a step in the right direction. Indeed, as the scientific community reckons with a Me Too movement of its own—one that started before Harvey Weinstein thrust the topic of workplace sexual harassment into the national spotlight—universities and scientific bodies are starting to take a harder look at the sorts of scientists they commemorate. There’s much more work that needs to be done, of course. Earther has reached out to David Marchant for comment and we’ll update this post if we hear back. Disclosure: Jane Willenbring was an assistant professor in the University of Pennsylvania’s Department of Earth and Environmental Sciences while the author was a graduate student there. Maddie is the Managing Editor at Earther, yo.